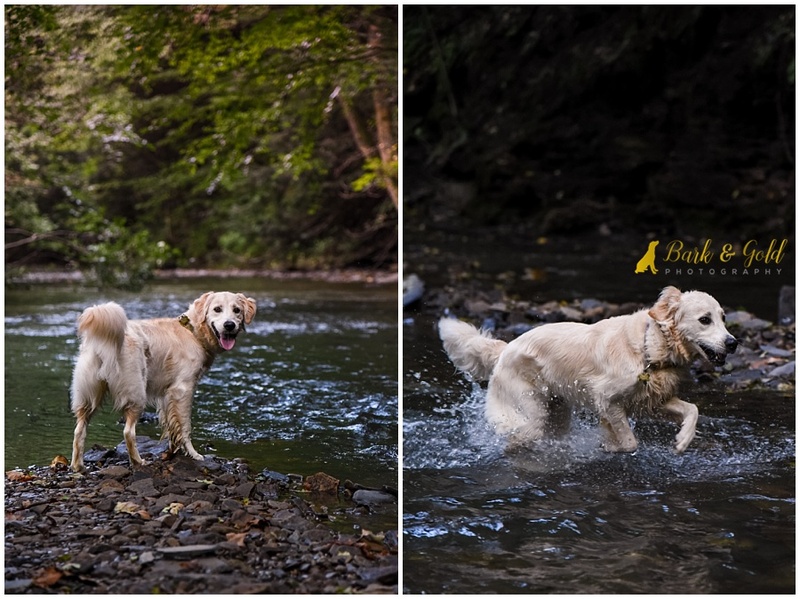 Ellie the white golden retriever is everything I love about sessions at my favorite location, Brady’s Run Park in Beaver Falls. At just one-year-old, Ellie is one of the sweetest and most gentle puppies I’ve ever met, happy-go-lucky, water-loving, and totally up for anything! Not quite a year ago, her mom Cherilyn and human-sibling Ashlyn brought home Ellie from Alexander’s Goldens in Ohio. 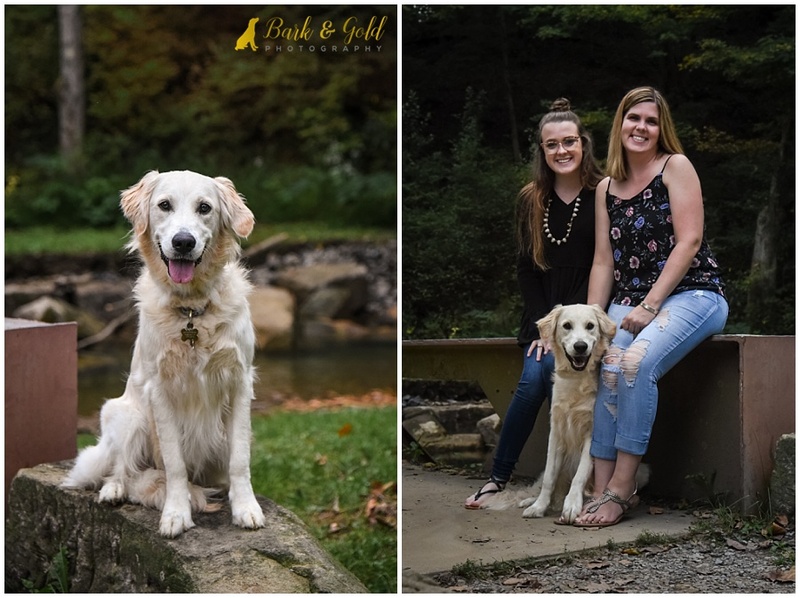 Ashlyn really wanted a white golden retriever, and Cherilyn knew Ellie was the one when they saw her puppy picture on the website and fell in love with her. Cherilyn told me during our pre-session consultation that Ellie loves people and is always excited to meet anyone that pays attention to her, adding, “Ellie can be very high energy and often gets the zoomies, but she also likes to take naps and lay down for belly rubs.” I have to say, Miss Ellie certainly met those expectations! By her expression, I’d say Ellie had the best time ever crashing through the leaves and playing fetch with her sister! Did I ever mention how much I love water-loving dogs? That’s part of the reason why retrievers are one of my favorite breeds to photograph at Brady’s Run Park. There are so many fantastic places to swim, splash, and play. It didn’t take long for Ellie to dive right in! During one part of our session, after exploring along the creeks and throughout the wooded areas of the park, Ellie stumbled across some stinky goodness…in which she immediately proceeded to rub her head. Suddenly, this beautiful white puppy seemingly transformed herself into a Dalmatian before anyone could stop her! We laughed at the ridiculousness of the whole situation while Cherilyn teasingly scolded Ellie, and talked about how this oh-no-moment definitely needed to be documented. I joked to Ashlyn about how–as gross as it was–they’d laugh about this down the road, so while Cherilyn ran back to the car to grab some clean towels, I snuck a few shots of Ellie’s new spots. Ellie sure made narrowing down their favorites a tough task for Cherilyn and Ashlyn. While these two knew they wanted to update a wall in their living room with signature wall art, they knew they couldn’t hang every image on their wall. After picking out their two favorite images for her artisan wood pieces, one of Ellie relaxing by a creek and another of the three of them posed on a small footbridge, Cherilyn and I discussed a few other options for getting the rest of her must-haves. 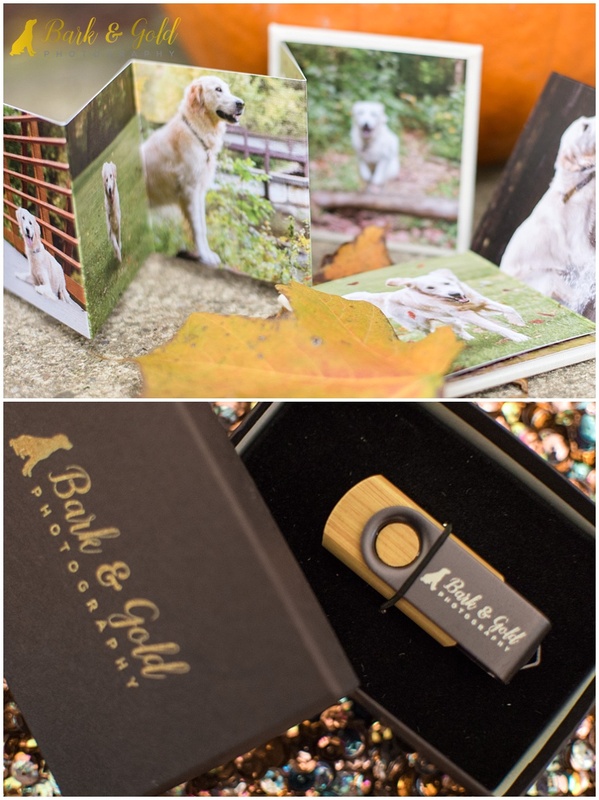 Ultimately, she decided on a 10×10 fine art album that held all of Ellie’s images as well as a small gift print. Check out what image made the album cover! With her signature wall art and fine art album, Ellie’s family also received two bonus products, including her session slideshow and a set of three 3×3 mini accordion albums. Cherilyn, thank you so much for bringing Ellie out for a memorable fall afternoon and trusting me to preserve her precious puppy days. I guarantee your new wall art is going to make you smile every time you pass by it! Q&A: How Do I Choose Images for My Wall Art?